Carmen has been working in the legal industry for over three years and was admitted as a lawyer in December 2018. 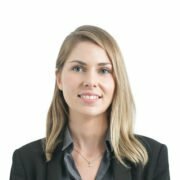 Since joining our firm in 2016, she has been working in family law and succession law (estate planning and estate administration). Carmen continues to work closely with Pravinita Singh-Pillay, adopting an attention to detail and an outcome-focused approach to achieve the best possible result for clients. She is a thorough practitioner with a genuine care of client’s issues and concerns. She tries to find the positive in the situation to assist the client to move from one chapter of their lives to the next. Carmen has a particular interest in property and financial matters, Financial Agreements, asset protection and the intersection between family and succession law. She aims to provide realistic and practical advice to safeguard financial interests as quickly and cost effectively as possible, whether in family or succession law.